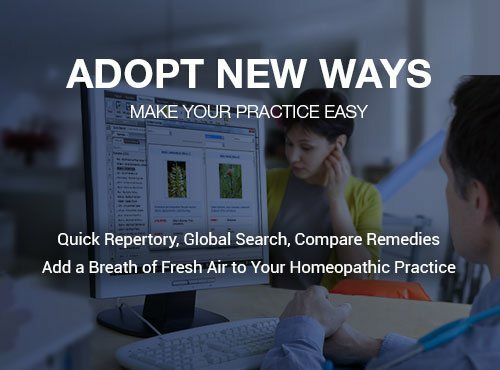 Maximum functionality with 2.5 million symptoms to upgrade your skills of repertorising. Analyze complex cases with strategic and expert filters for arriving at the similimum within seconds in Hompath Neometal. 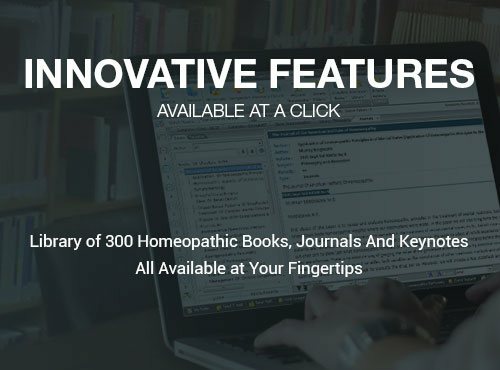 All the important analysis features and repertorizing and confirming the remedy, along with differentiating remedies and arriving at the similimum are designed to help you save time in this homeopathic software. 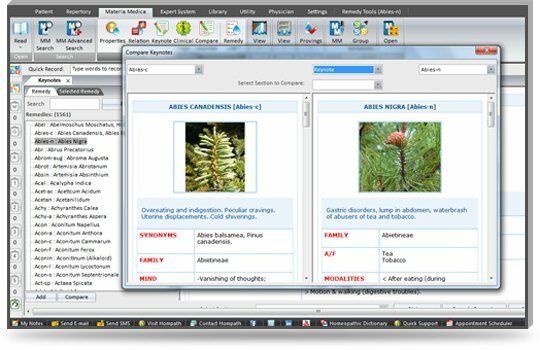 Differentiate remedies at one go, verify a remedy in a rubric by materia medica confirmation, eliminate or combine remedies of two or more rubrics help you find remedies and prescribe more accurately. 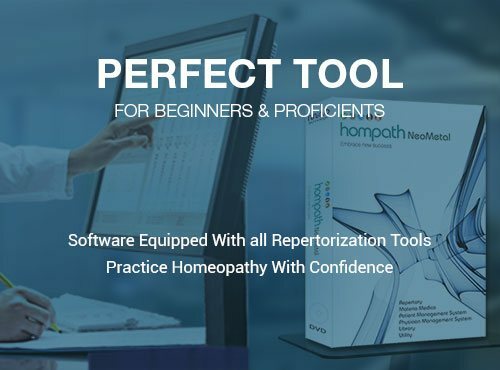 Hompath Neometal has 20 repertories to upgrade your skills of repertorising. Advanced search options very much akin to web search engines. 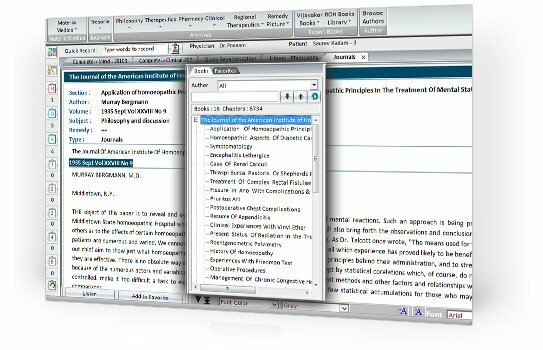 About 800+ treated cases.Learn prescribing methods for acute, chronic, one-sided, difficult or incurable diseases Cases from pillars - Hahnemann, Kent, Boger and contemporary experts. 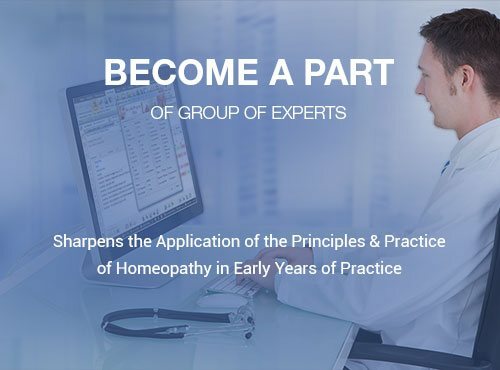 Homeopathic software has Intelligent guide on selection of potency for each case.Potency evaluated on vital criteria like age, sensitivity, mental & physical level, miasm etc. Hompath Neometal has a priceless collection of 16 unique repertories which concentrate on specific conditions. Valuable information on Thyroid, Hypertension, AIDS, Suppression, Obesity, Asthma, Pneumonia etc. 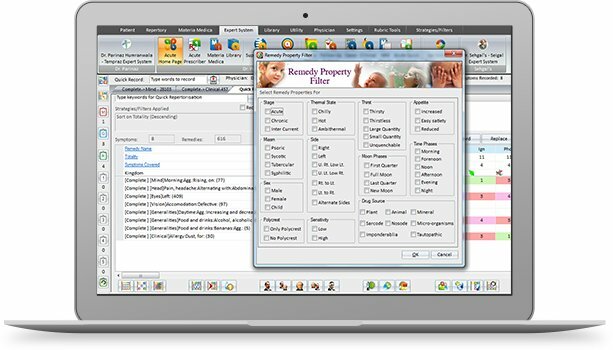 Take a closure look at our of Hompath NeoMetal Homeopathic Software! 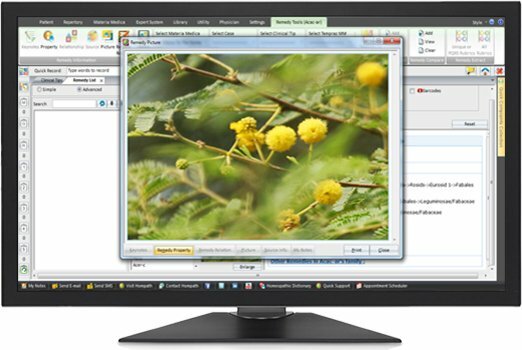 Your computer/laptop should have following basic system configurations to run Hompath Neometal Software.